Have You Looked at Your Crawl Space Vent Lately? If you have a vented crawl space, chances are you don’t think about it regularly. At The Killers Crawl Space Restoration, we do. 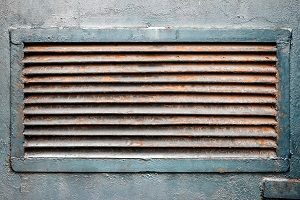 If you aren’t sure if your vent should be open or closed, if it’s clean, or even how to open it, we can help. We’ll give you the knowledge you need for crawl space moisture control and when you should keep it closed or leave it open if you have a manual vent instead of an automatic. So that’s what that thing is! 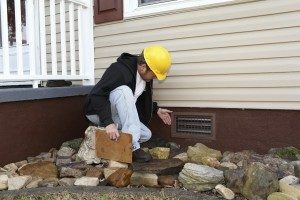 If you’ve ever noticed small foundation vents on the outside of your property that seem like they’re only there for show, they are probably vents for your crawl space. Even in dry climates, there is always some moisture on the ground and in the air. Mold can start to grow on the wood foundation of your house and can be very dangerous. Even though it’s a tiny microorganism, it can cause an enormous amount of damage of left untreated. Because it’s a microbe, tiny mold particles can get into your house. Some types of mold are toxic if breathed in by humans. Mold can eat away at moist wood. If it’s part of your foundation, this can cause severe structural damage to your property. And of course, it’s not a pretty sight. Mold can ruin the look and feel of wood, carpet, furniture, and most things it grows on. Do you know we clean mold too? 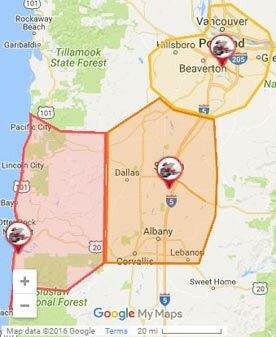 Click the restore button or call (503) 342-2204 to learn about some of our other restoration services that bring your crawl space back to looking and behaving the way that it should! As experts in crawl spaces, we’ll do more than simply look at your crawl space vents and make sure they’re functioning properly. We’ll also do a crawl space inspection to make sure that there are no other outstanding problems while we’re at it. If it’s messy, we can clean it out. We can also repair this vital area, including pest removal and deterrents. Contact us now for service you can trust! If you’re looking who knows the ins, outs, and underneaths of your crawl space, you won’t find anyone that’s more knowledgeable, experienced, and efficient than us. So give us a call or fill out our contact form.